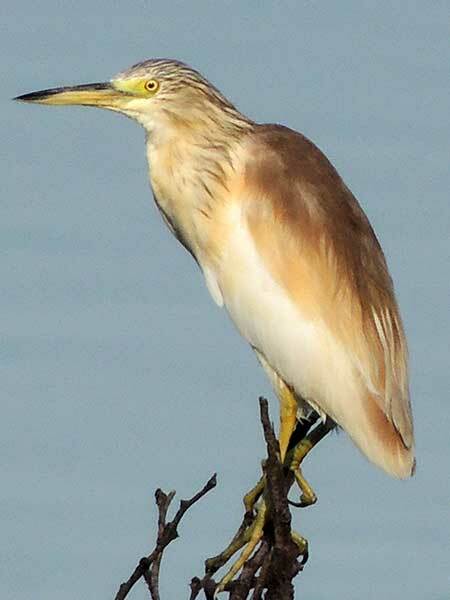 From Wikipedia: The squacco heron is a migrant, wintering in Africa. It is rare north of its breeding range. This is a stocky species with a short neck, short thick bill and buff-brown back. In summer, adults have long neck feathers. Its appearance is transformed in flight, when it looks very white due to the colour of the wings.